Terry Glavin: Go, find Peter, and stand with him. He will need friends. Go, find Peter, and stand with him. He will need friends. When it came to my attention three weeks ago that the brave British human rights activist Peter Tatchell had agreed to lend his good name to the Saturday October 8 "Anti-War Mass Assembly" in Trafalgar Square, with its inane demands for a withdrawal of British troops from Afghanistan, my heart sank. An entire galaxy of retread counterculture celebrities and "anti-imperialist" zombies had pledged to be there. George Galloway, Lauren Booth, Julian Assange, Seumas Milne, Moazzam Begg, Yvonne Ridley, Salma Yaqoob - you'd have thought Londoners were engaged in some mass mobilization in public hygiene that involved carting off the most rancid political detritus of the past decade to pile it all up in a single stinking heap, and in Trafalgar Square of all places. And right in the middle of all those names: Peter Tatchell. This can't be right, I thought. Peter Tatchell, who only a few days before had shown up at an East London mosque to stare down the thugs from the English Defence League as well as the Islamist crackpots who have been visiting so much misery upon British Muslims? The same Peter Tatchell who has been almost alone on the British Left in drawing attention to the persecution of the Hazaras of Balochistan and their routine slaughter by the death squads of Lashkar-e-Janghvi? I'd long known Tatchell to be one of the few leading British activists who could be counted on to actually take the trouble to discern principled and consistent positions in the matter of international solidarity. His aim was true. He'd stood up to former London mayor Ken Livingstone. In Brussels, when he attempted to make a citizen's arrest of the Zimbabwean tyrant Robert Mugabe, he'd been beaten unconscious by Mugabe's bodyguards. He'd been arrested and roughed up by the cops in Moscow for standing shoulder to shoulder with gay rights activists there. And yet there was Peter Tatchell's name and photograph, appended with the names and photographs of pretty well every self-congratulating bourgeois stoppist windbag from Torbay to Tyneside, to a demand for the withdrawal of troops from Afghanistan - every progressive Afghan's worst nightmare - all tarted up in the usual ludicrous and self-flattering lexicon: "I pledge that if British Troops are still in Afghanistan on the tenth anniversary of the invasion I will join the mass assembly in Trafalgar Square on Saturday 8 October to make it clear to the government that they must not continue this brutal and pointless war in defiance of the will of the people." It would have been too much for me to expect Tatchell to know anything of what I have witnessed during my visits to Afghanistan, or that he would have any first-hand experience of what it's like when that brokenhearted and black mood befalls Afghanistan's feminists, secularists, democrats and reformers every time they tune in Tolo TV or pick up the brave liberal Sanjar Sohail's Hasht-e-Sobh daily newspaper to read about yet another "anti-war" demonstration in Toronto, or Washington, or London. But of all people, how could Peter Tatchell not know that in Afghanistan, "troops out" is the tiny preserve of crazy people, crypto-fascists, and the Islamist far-right? How could Peter Tatchell not know that nothing brings a smile to Mullah Omar's face faster than a BBC report of yet another swarm of rich hipsters chanting "troops out" in one of the NATO capitals? What on earth was Tatchell thinking when he pledged to take the Quetta Shura's own demand to Trafalgar Square on Saturday? I sent him an email: Please don't go. Tatchell responded. We began an exchange. The nub of Peter's side of the conversation was, Well, wait, hold on, not quite, there's some nuance you're missing, the October 8 pledge doesn't explicitly call for immediate withdrawal. This was dodging and hairsplitting, but it wouldn't be very chivalrous of me to divulge our back-and-forth here. And besides, straight away I thought, Well, fair play to the guy, he gets hundreds of emails a day, he's involved in several important campaigns, he's asking for hard evidence, and after all, he's actually trying to settle on a properly radical and principled position on the crucial question of Afghanistan. “The left and anti-war movement is gambling with the lives of Afghan women, democrats and leftists when it calls for the immediate withdrawal of all UK and NATO troops. This demand is rejected by most Afghans and could result in mass slaughter by the Taliban. 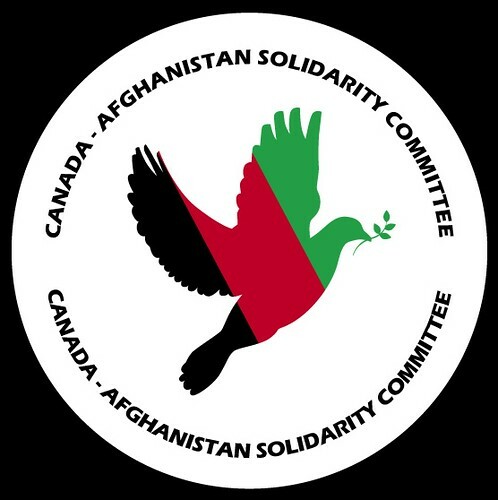 It risks capitulation to a clerical fascist movement that threatens the human rights of the Afghan people,” warns human rights campaigner Peter Tatchell, Director of the Peter Tatchell Foundation. Never mind the slight residue of drivel that clutters up its opening bits (" The Nato-led occupation is wrong. Democracy and human rights cannot be imposed by western diktat. . ."), which betrays a persistent belief in the fairytale of "occupation" and a submission to the canard that it is only "western dikat" that causes millions of Afghans to risk their lives on a daily basis in the assertion of their rights and their struggle for a sovereign and democratic republic. This, too, will pass. I would even go so far as to defend those he calls to account for failing to be "equally critical" of the Taliban as of NATO, as if there were any equivalence to be drawn between the outrageously ignorant and imprecise bomb-site targeting for which the Americans are sometimes notorious and the deliberate lynching of schoolteachers and the conversion of 11-year-old mentally handicapped boys into walking suicide bombs. Besides, since when did the Taliban ever respond to "criticism"? "Nearly 90% of Afghans oppose the Taliban – a clerical fascist movement that seeks to impose a religious dictatorship. A Taliban regime would ban all political parties, trade unions, and women's organisations," Tatchell observes. "Women and girls would be forced out of schools and jobs, back into the home. They'd be subjected to compulsory shrouding and gender apartheid. Any woman who refused to conform would risk lashing and stoning." "Why has the anti-war movement never protested against the Taliban's crimes against female humanity?" Answer: Because that's not what the so-called "anti-war" movement is for, and because if Taliban crimes against female humanity are what we're sincerely interested in actually stopping, I'm afraid that eruptions of bourgeois umbrage-giving in Trafalgar Square won't do. Life's not fair. Sometimes, you actually have to shoot fascists. But the rest of it is splendid and spot on. I can't remember the last time I actually read something in the Guardian that was quite as cogent, as demonstrably progressive and principled, and as clearly and proudly left-wing. "There needs to be a more sophisticated anti-war alternative to the Nato strategy. I haven't got the answers but I know we should not abandon the Afghan people to a Taliban bloodfest. Anti-imperialism cannot be allowed to trump human rights." Aye and aye, and Tatchell actually did strike upon the answer he says he doesn't have, and he didn't even notice: Don't abandon the Afghan people. Mean it when you say it. Make your government mean it. Make Afghans know it. Do that, and the Afghan people will take care of the rest themselves. If there is any transmission of the mass vulgarity in Trafalgar Square that makes it back to Afghanistan, it would be a great thing if through the dark cloud that will inevitably fall over that poor and broken country's brave people as a result, there might also be just the tiniest sliver of light that makes it through, by even a moment's passing media attention to Peter Tatchell's presence there, with his small troupe, and their minor banners. When this started, I'd asked Peter: Please don't go. I was wrong. He should go. To anyone and everyone who actually means it when they give out of themselves about women's rights, international solidarity, the rights of oppressed peoples to their own democratic sovereignty, the rights of six-year-old girls to know how to spell their own names - don't stay away from Trafalgar Square. Go, find Peter, and stand with him. He will need friends. He will be all but alone among the thousands. Terry, I salute you! To persuade somebody in a political argument is normally unheard of. Great job that and no second opinions, please! Thanks for the salute but I don't think I can claim credit for persuading Pete by political argument. He demanded to see evidence to show that he was wrong in his assumptions. There was voluminous evidence available and I provided him with the means to review it and judge for himself. He made up his own mind based on the evidence, he asserted a bold position based on the evidence, and if there's credit due here it's to Pete for being brave enough to stand on the hard ground evidence provides us. Well, humility suits you and all that, but if submitting evidence is not a part of persuasion process, call me emperor of Japan.